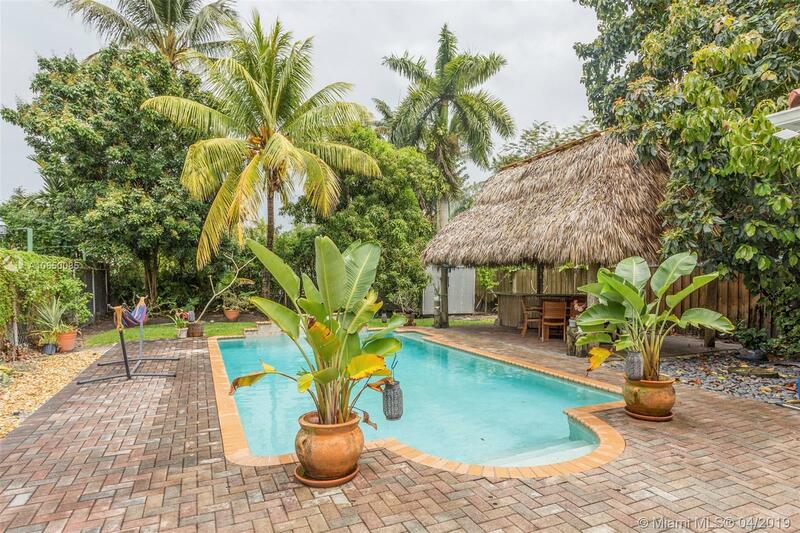 South Miami 3/2 Pool Home with Large Tiki Hut for all the fun times you will have here! Yes there is a yard too! Home is adorable with renovated kitchen and Master Bath. The rooms are a split plan with the Master in the Back with great walk in closets. Wood floors and open floor plan make this a quick sale. Ride your bike to University of Miami.